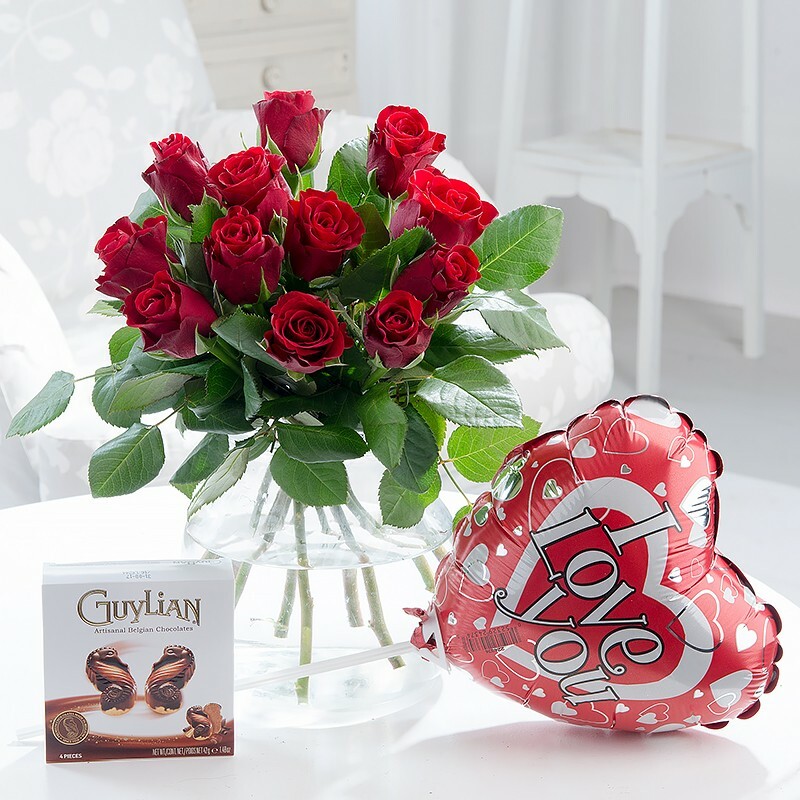 The perfect bundle of a bouquet of 12 red roses, mini 'I love you' balloon and a box of Guylian chocolates. Who could resist! Please note: your roses may arrive in bud and the vase pictured is not included.